First Listen: Howler, 'America Give Up' Flush with hype, the young Minneapolis rock band cranks out perfect power-pop on its terrific debut. Howler's first full-length album, America Give Up, comes out Jan. 17. 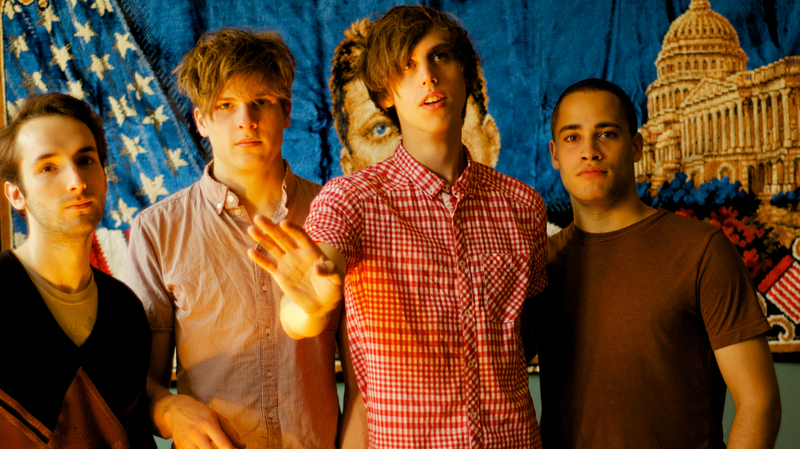 Before Howler released its first full-length album, the group had already received high praise from far-flung places. The British music weekly NME named Howler the third-best new band of 2011, while the BBC and The Guardian heaped more excitement — and expectations — on the young Minneapolis outfit. With America Give Up, out Jan. 17, Howler actually lives up to those expectations, releasing a debut record which practically bursts with singles. Howler writes power-pop tunes that clock in at three minutes or less — the best kind. Howler's members are young, but there's maturity to the way they compose these hand-clappy, shimmery pop tunes with just enough disaffectedness in frontman Jordan Gatesmith's voice. Howler's music brings to mind The Strokes, Guided by Voices, The Jam and The Buzzcocks — bands that weren't terribly interested in grand thematic records, opting instead to release collections of single tracks that stand on their own. If you were to play only one track for your friends to best sum up Howler, you could blindly pick any one of them and nail it. How often does that happen?